1. How do you say day in Spanish? 2. How do you say week in Spanish? 3. 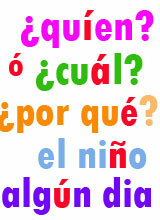 How do you say every day in Spanish? 4. What is Monday in Spanish? 5. What is Tuesday in Spanish? 6. What is Wednesday in Spanish? 7. What is Thursday in Spanish? 8. What is Friday in Spanish? 9. What is Saturday in Spanish? 10. What is Sunday in Spanish? 11. How do you say tomorrow in Spanish? 12. How do you say weekend in Spanish? 13. How do you say yesterday in Spanish? 14. How do you say last week in Spanish? 15. How do you say next week in Spanish?